At Modern Office Systems, we speak to clients all the time about saving space while creating functionality. Just like the kitchen is the heart of the home, an office needs a space where people can collaborate. We offer many solutions for this in the form of media stations, collaborative seating and more. 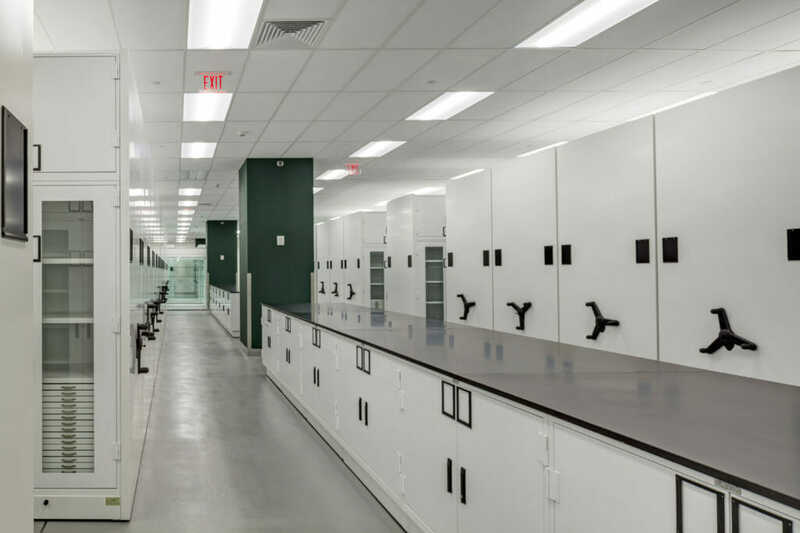 But another area that can benefit any business is the Custom Storage Island. 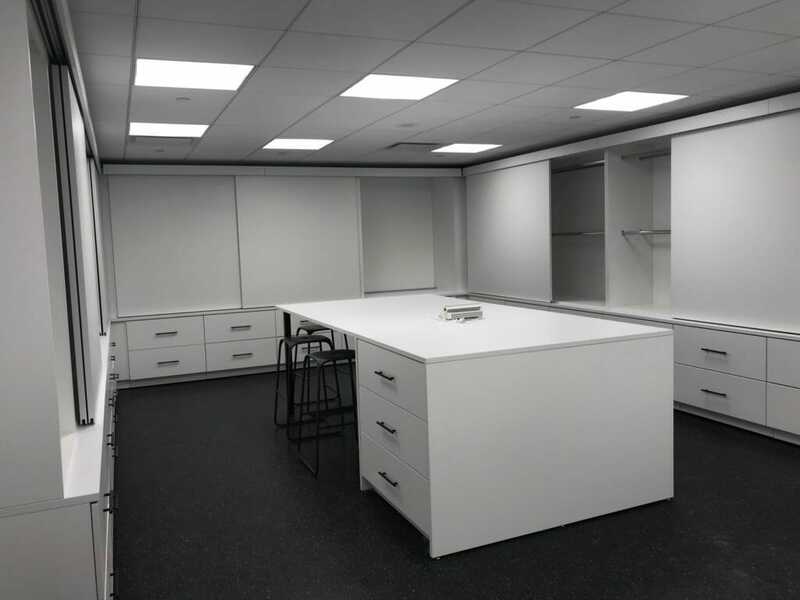 Islands can incorporate flat files, open shelving and/or industrial parts drawers, cabinets or day use lockers. Provide storage in an otherwise empty space; the middle of a room. How does that work for a business? 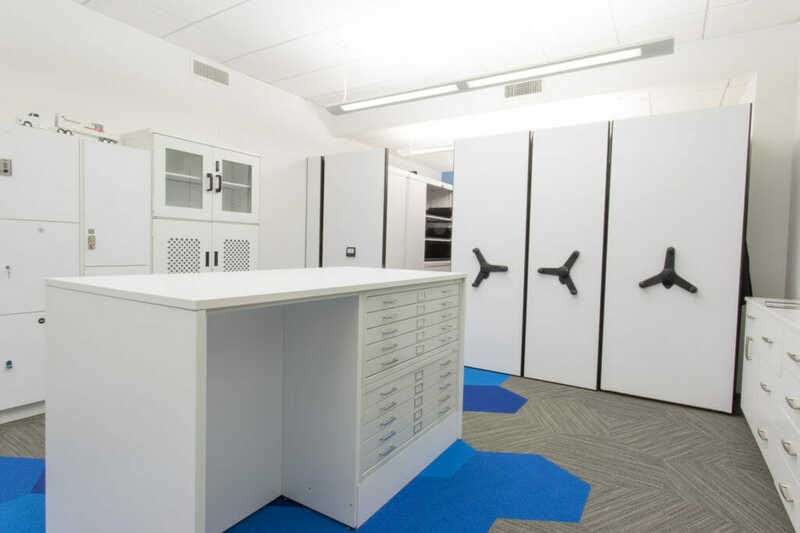 Depending on your storage requirements and office storage objectives, flat files can be used to house designer drawings. Vertical slots can house samples for easy access. Bins can be placed for sample storage. Or what about jewelry/small parts storage? 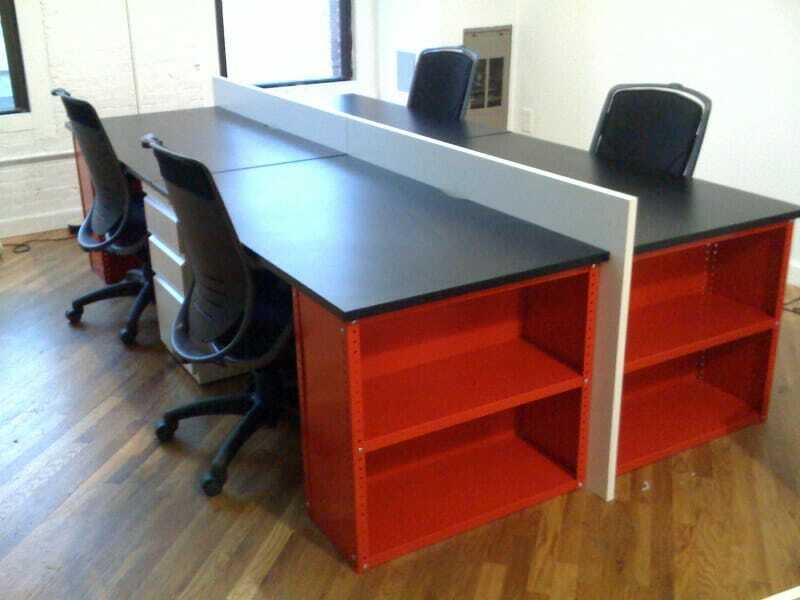 You can even make desking custom islands by incorporating day lockers. Again, why waste space if you can store these small materials in easy reach of a working table? Custom Storage Islands allows another level of easy storage within any square footage of space. We are constantly looking at innovative ways to improve on this concept. Our ideas are based on the needs of our clients so please feel free to share your storage frustrations. We promise to listen and provide exciting solutions.